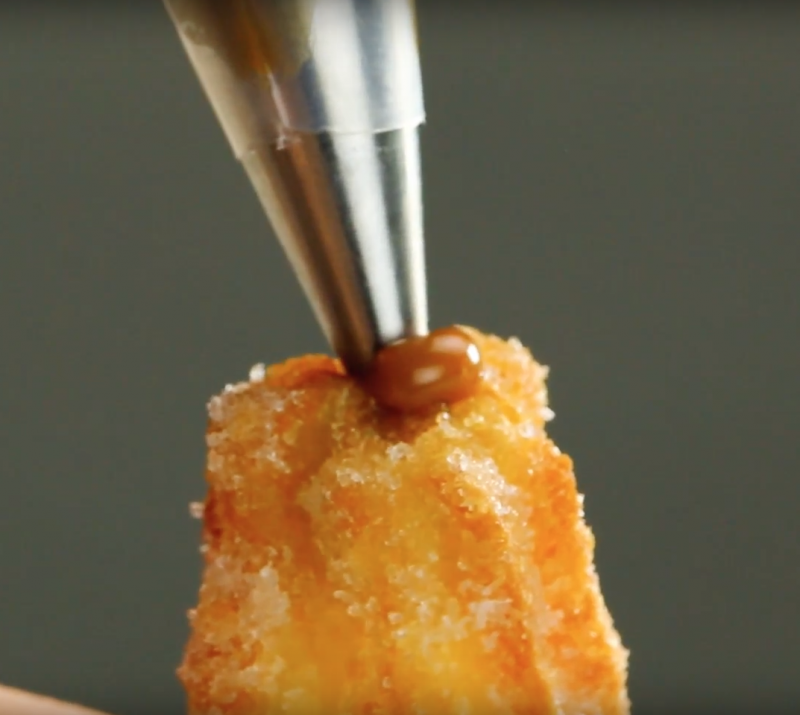 Who can resist a crispy, golden, sugar-coated churro? In Spain and certain Latin American countries, they are traditionally eaten on New Year's Day. 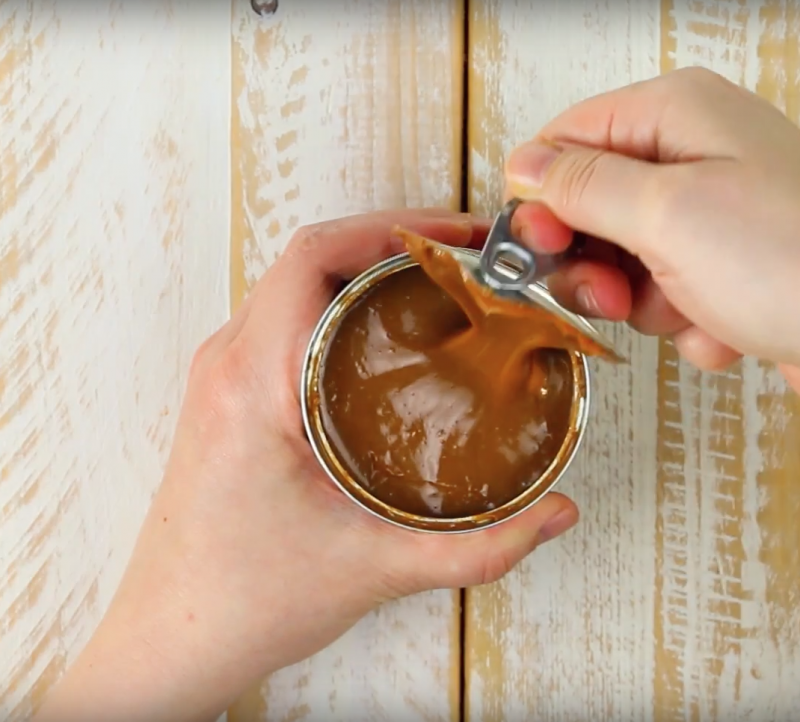 But once you learn how to make these sweet treats (with creamy dulce de leche, no less! ), you'll find even more reasons to celebrate. First add the water, milk, oil, and salt into a pot and bring to a boil. Once boiled, add the flour. 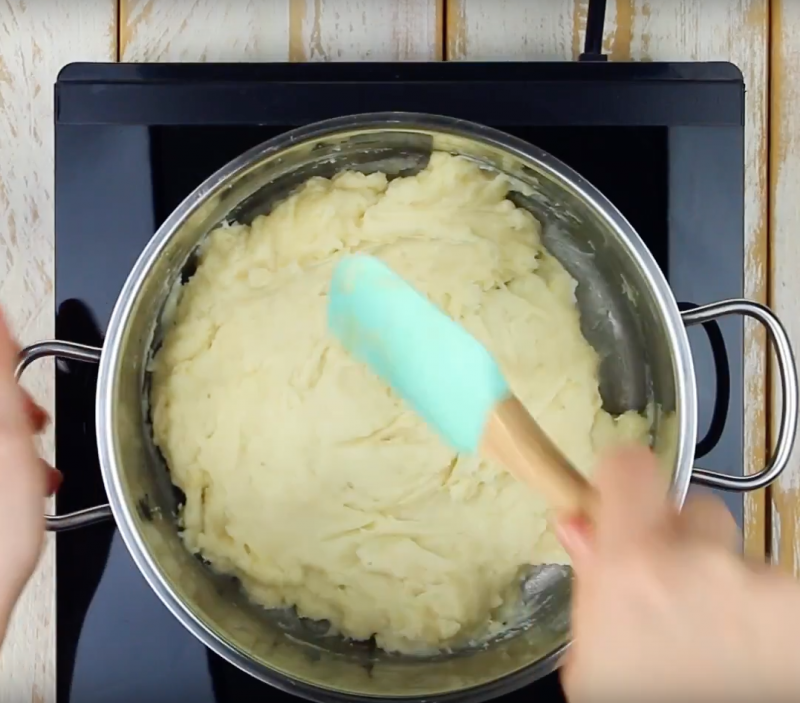 Mix all of the ingredients together (with a mixer or a spatula) and let cool. 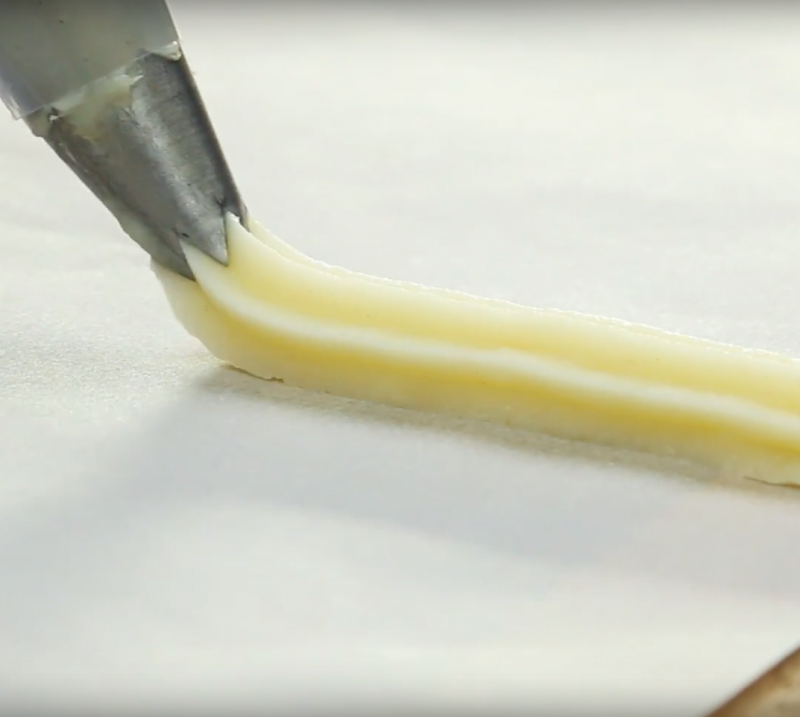 Transfer the mixture to a piping bag with a star nozzle, and squeeze out the churros onto baking paper. The churros should be about 4 in. long. 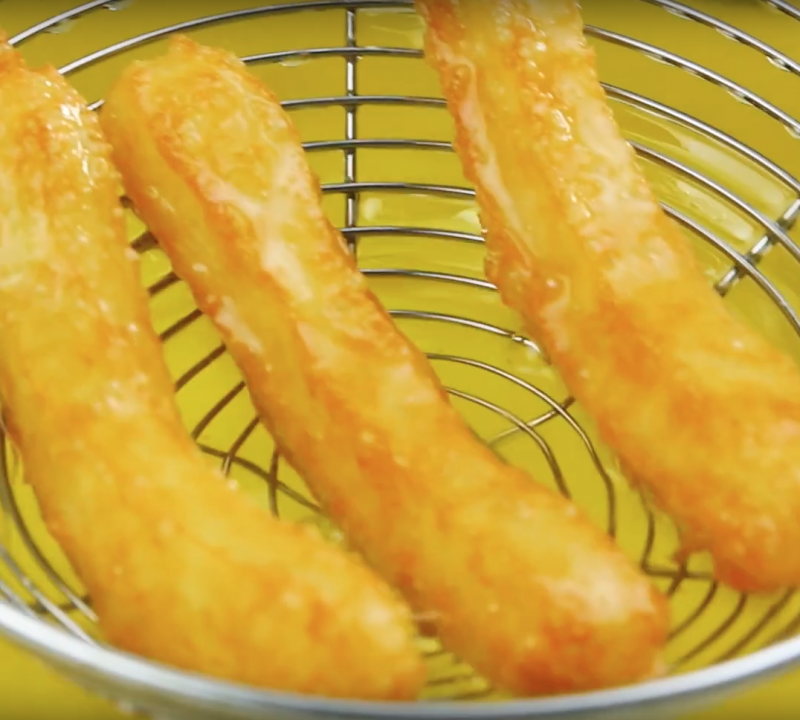 Carefully fry in a pot of boiling oil until golden brown. Afterwards, take your churros for a spin through some sugar! 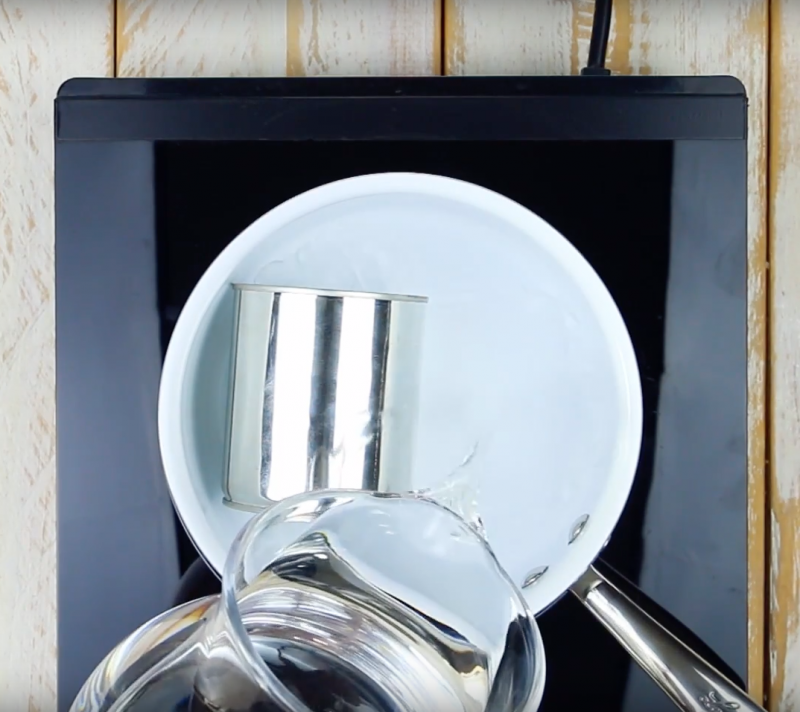 Place the can of sweetened condensed milk into a pot of boiling water. After two hours, let the can cool before opening. 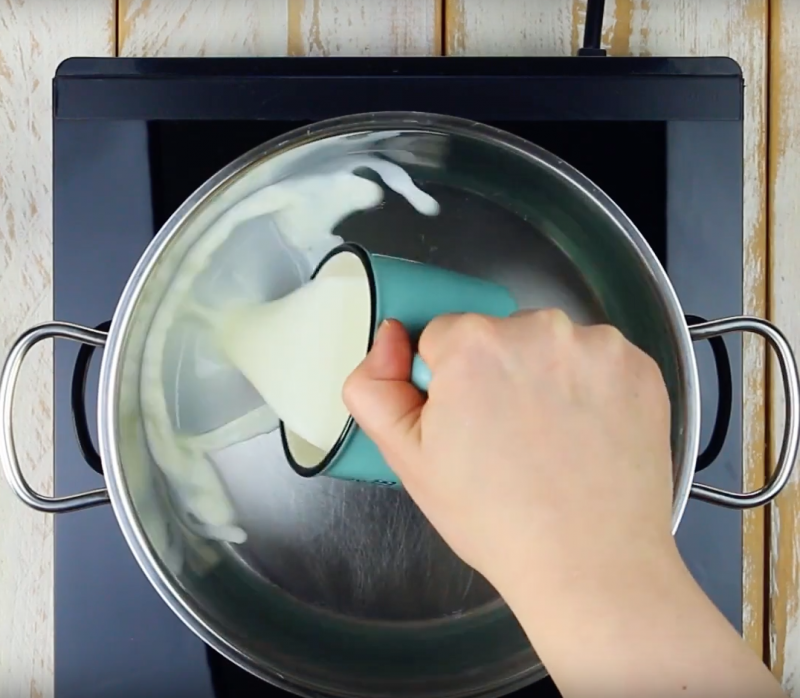 As you can see, the milk has changed consistency and color. 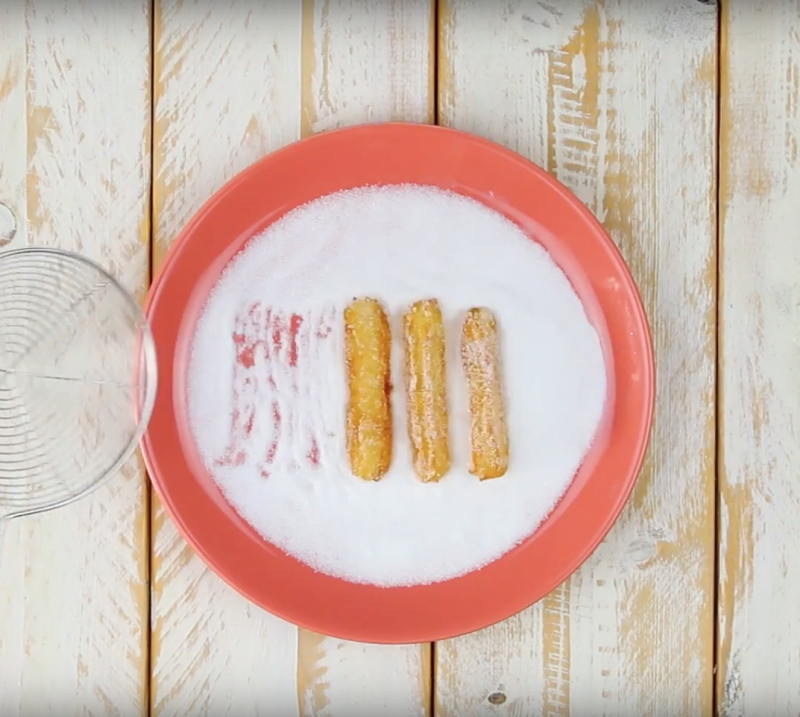 Using straw, create a hole in one side of the churros. 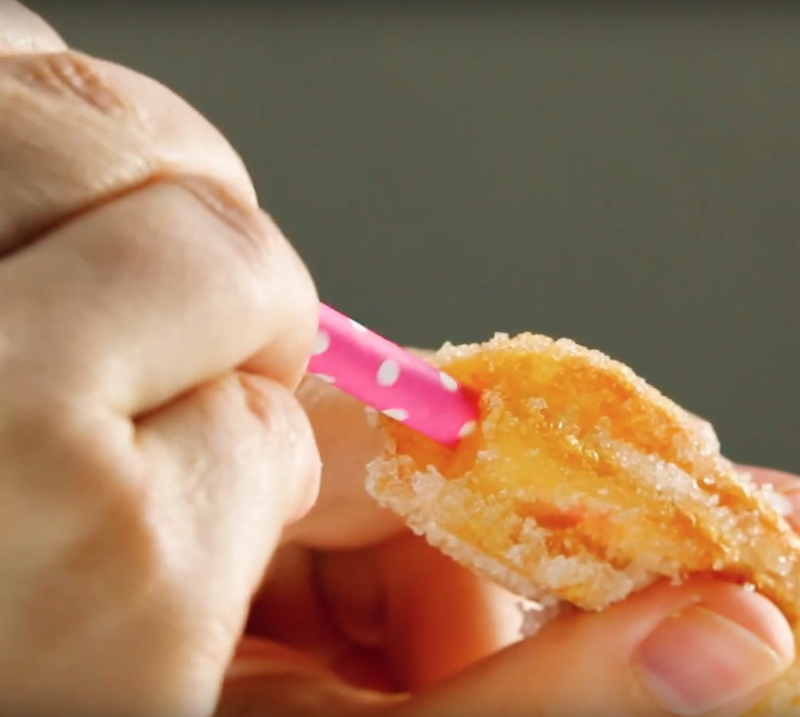 Using another piping bag, squeeze the dulce de leche into the churros. Don't worry if it spills over the edge! 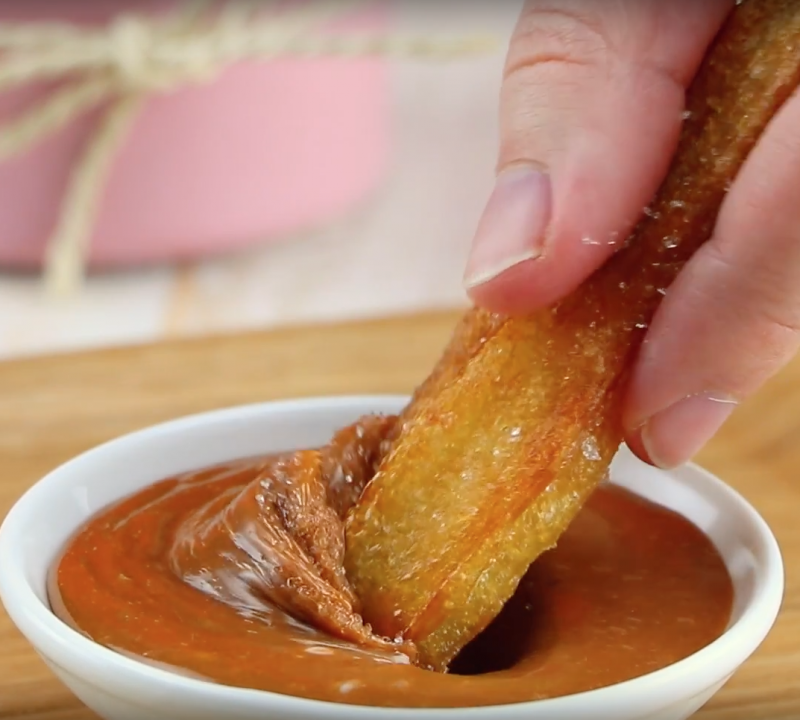 Serve the leftover dulce de leche on the side as a dipping sauce. 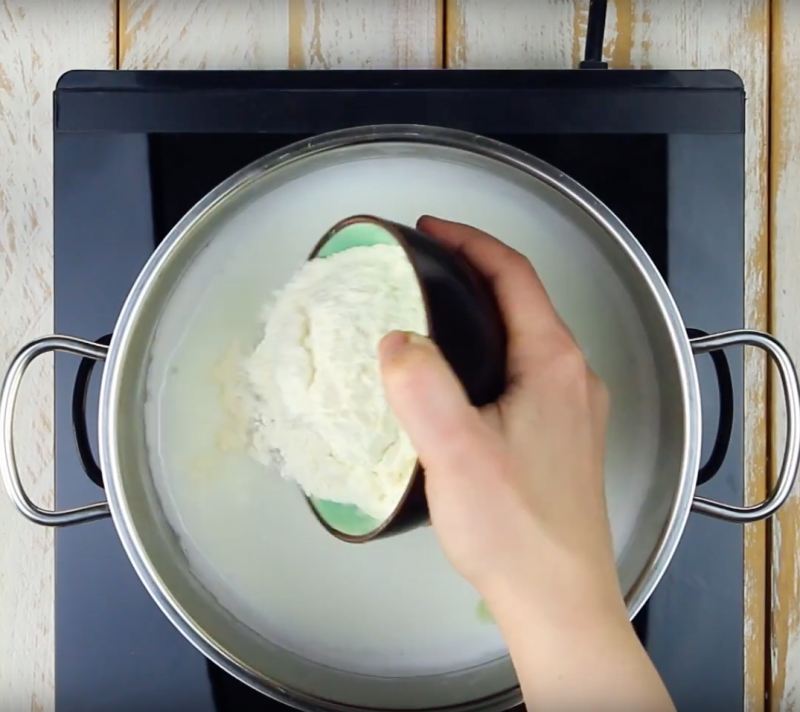 Who knew something so delicious could be so easy to make! It's time to make every day a special occasion. Enjoy!